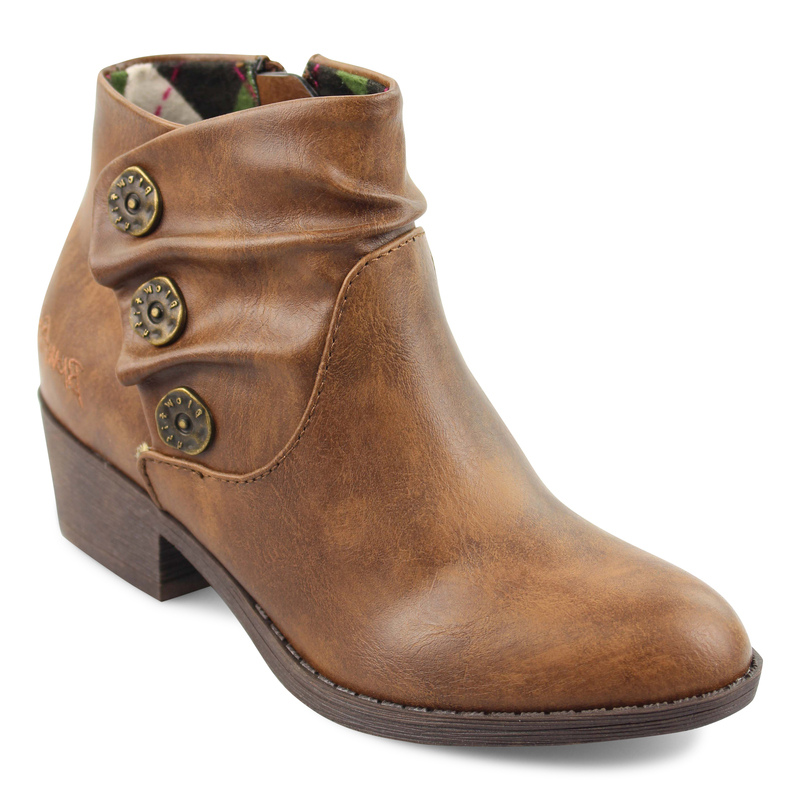 Complete her look with a California-cool style from Blowfish Malibu. 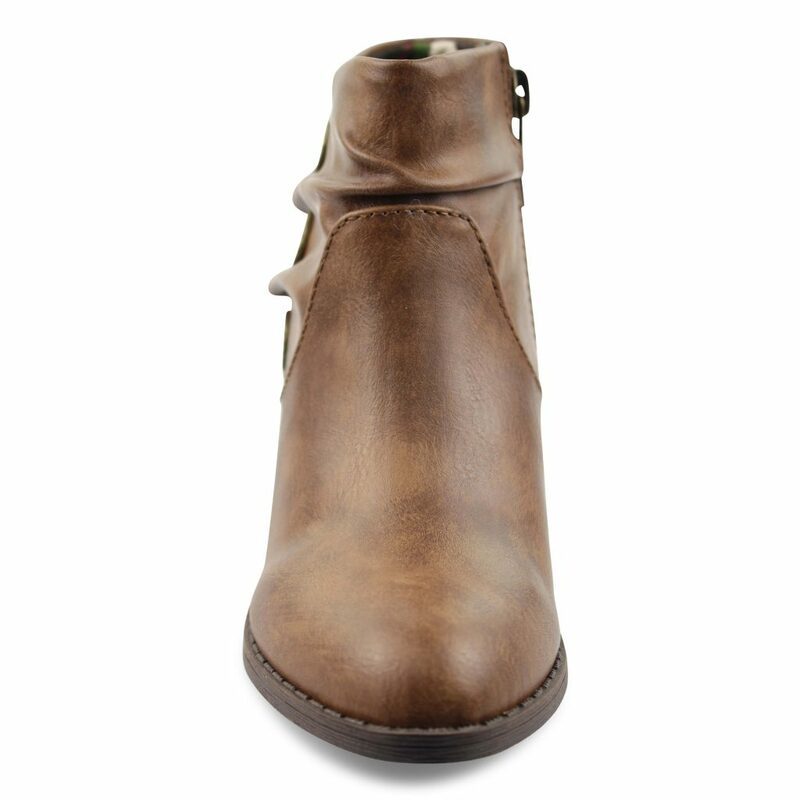 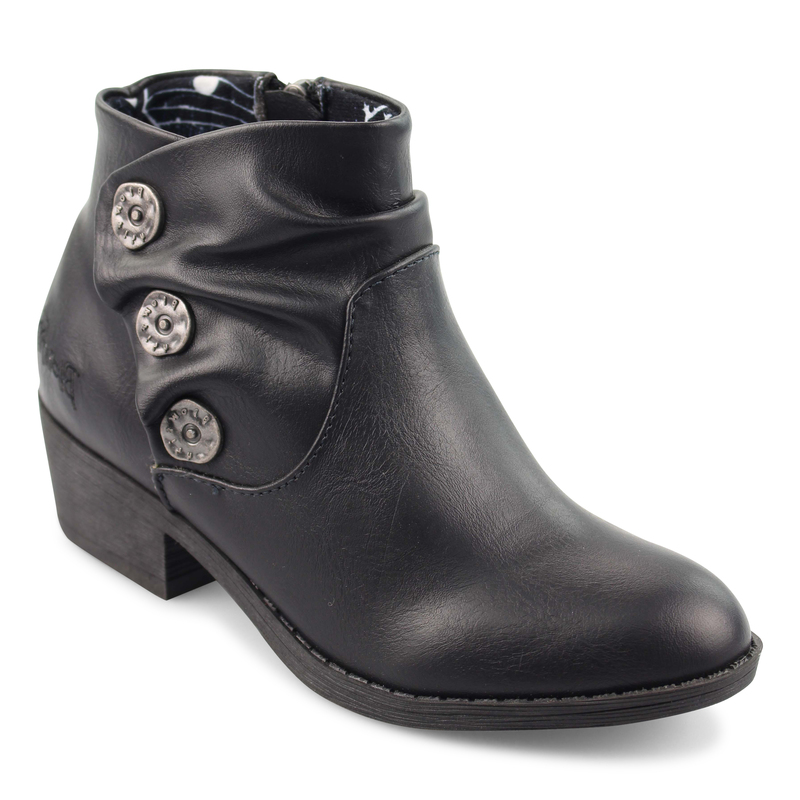 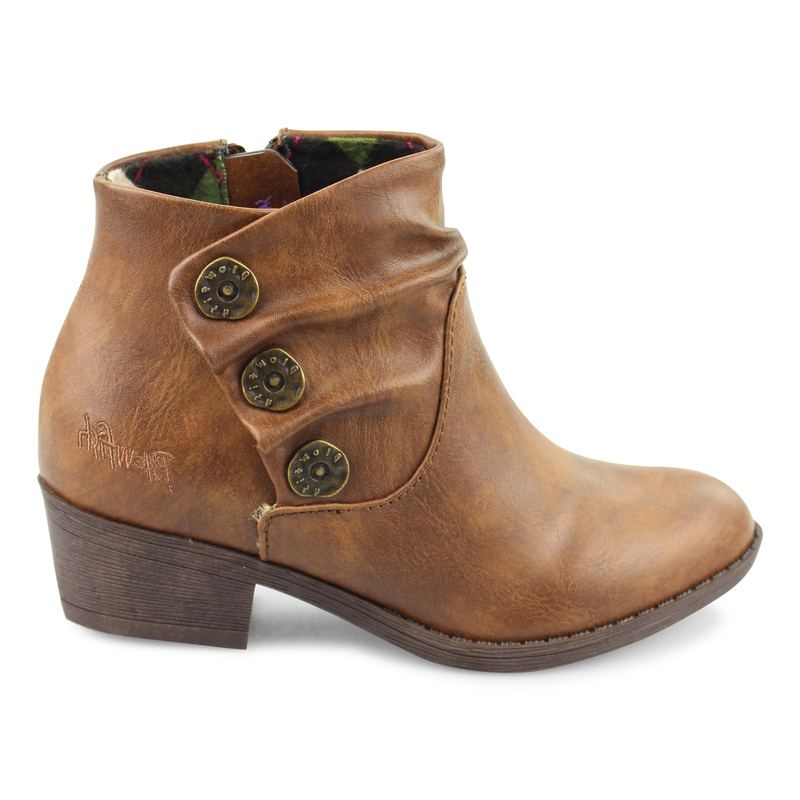 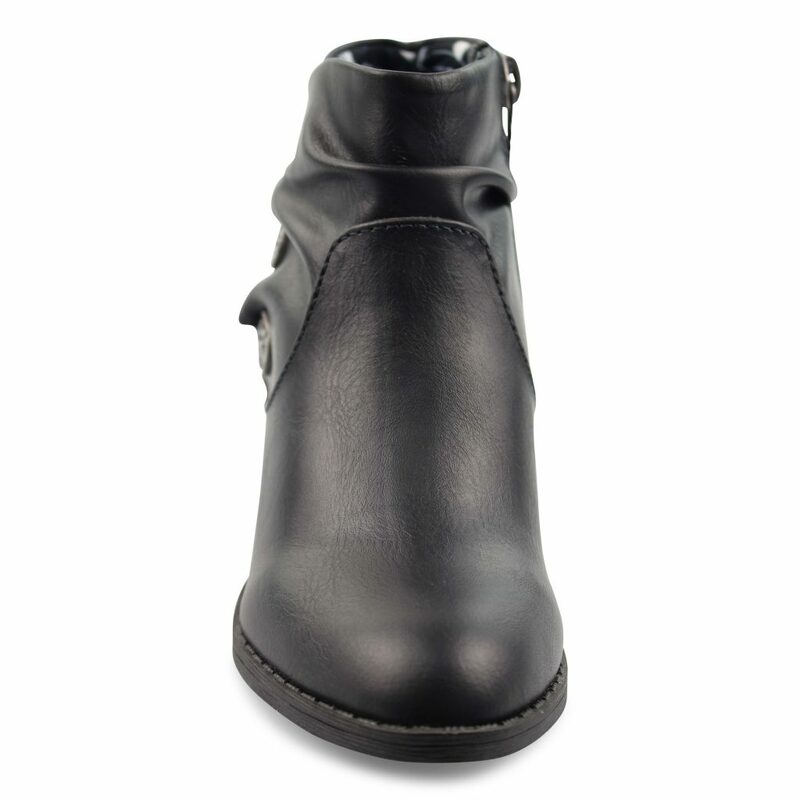 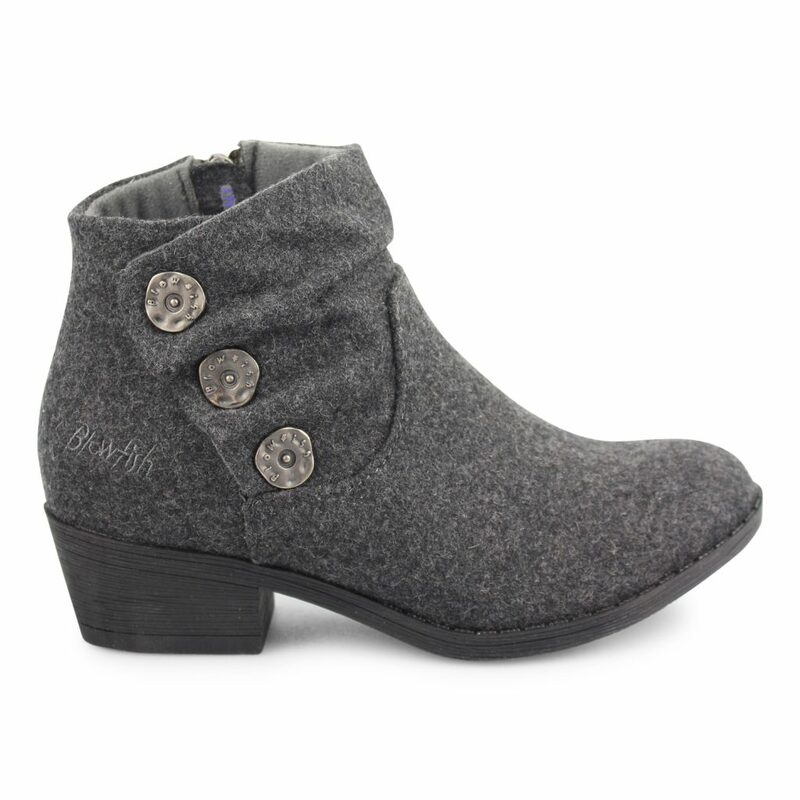 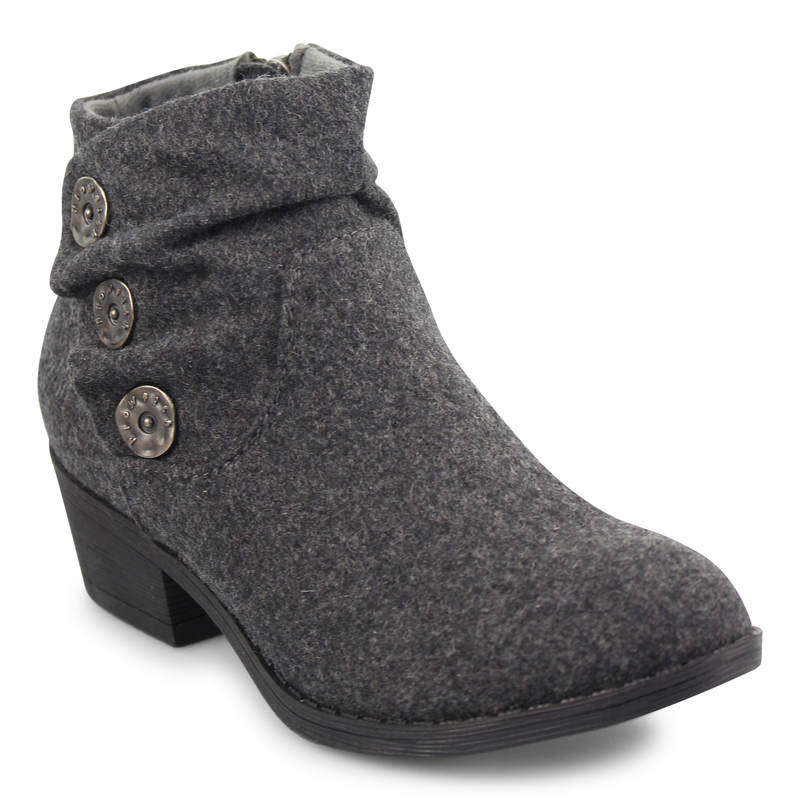 Sava-K is a low-heel ankle bootie with classic Blowfish Malibu elements such as the ruching-branded button combination. 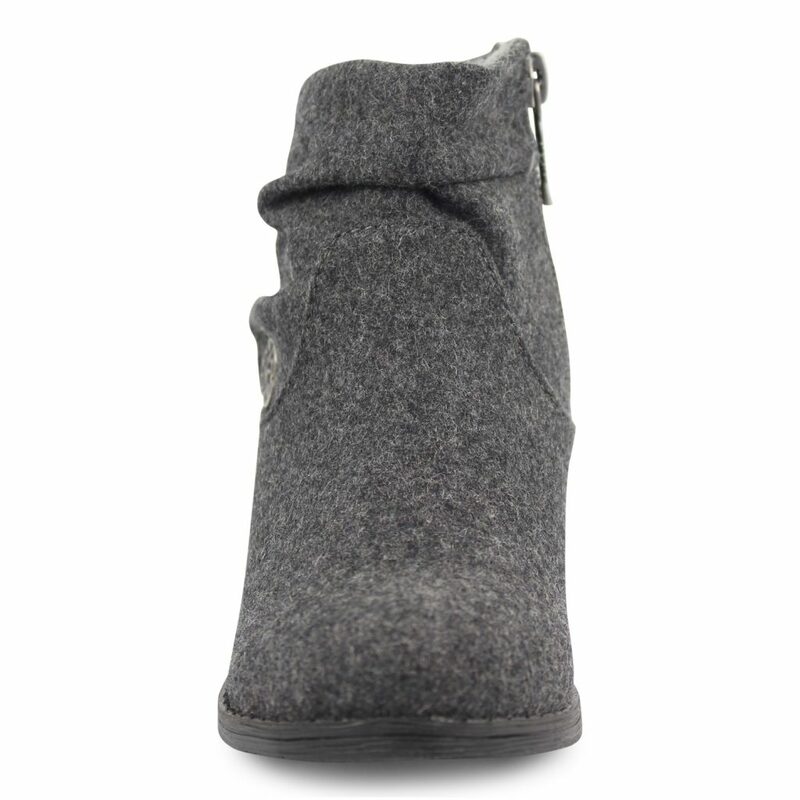 The inside zipper on this will allow for easy on/off. 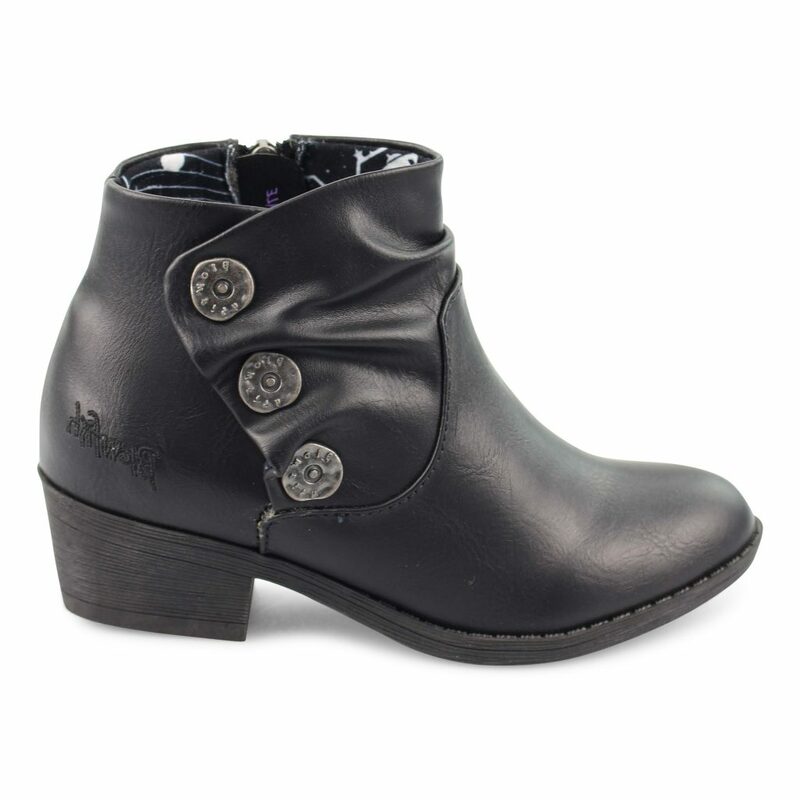 Sava-K is a style she can pair with her dressy looks for any celebration.